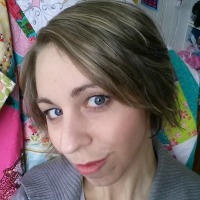 Jeanine is a Canadian designer who loves free motion appliqué, sewing pretty things, mermaids, and dabbling in fabric design! She is a a lover of whimsy and pink and anything that inspires fun and imagination. 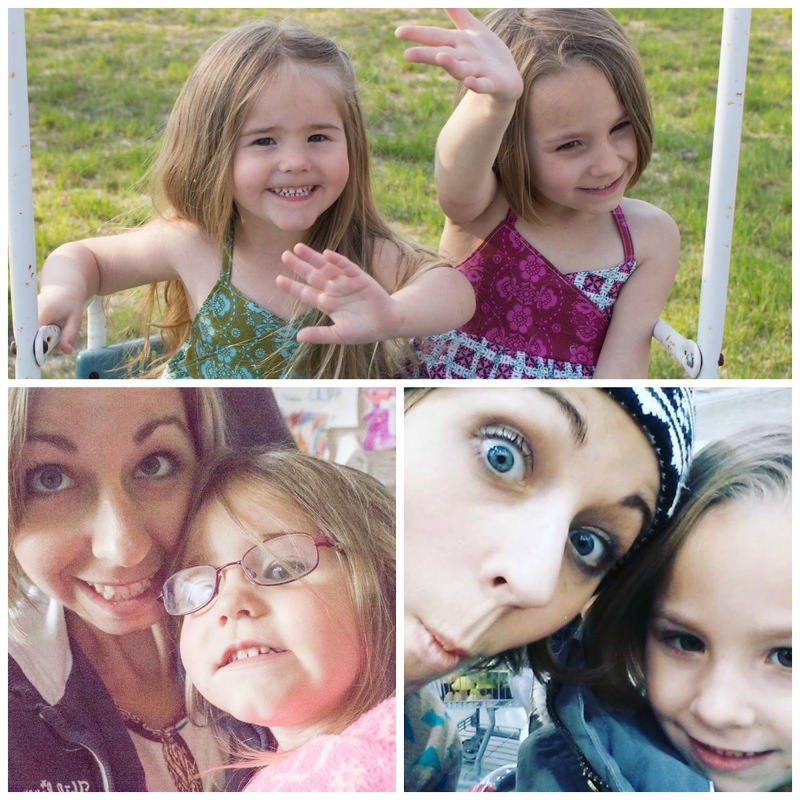 She has two girls who help inspire her work and drawings. I started StitchART In August of 2015. I fell in love with free motion applique through one thimble issue 7 and I had such a hard time finding free motion applique patterns on the market I decided to put my years of art lessons to use and make my own designs! I had the programs on my computer already for turning my sketches into proper patterns and so I went for it. Hope and a dream! Sewing I began in 2010 when I had my first daughter. I wanted adorable one of a kind outfits for her that I saw while browsing the internet to relieve the bordem of being able to do nothing while nursing and her napping (she was one of those who would wake up and screech if I moved more than my wrist). Oh my…this one is next to impossible to answer… My goofy kids and their quirky selves ALWAYS inspire me! Otherwise though it completely depends on my mood haha. I do love the art world for inspiration! Just practice. Even if you are not sewing anything at all you can learn so much about your machine and stitches by simply sewing scraps together. Do not fear your machine, and don’t count yourself out just because there are people who seem so advanced. For me that was the hardest part, I wanted to sew amazing things like I had pictured in my head before I even knew how to thread my machine. I forced myself to sew everyday and joined a every day sewing group to keep myself accountable and practicing and learning and it was the best desicion I made for learning the craft. 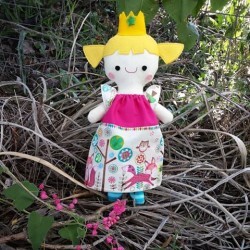 My favourite personal pattern is Mollly the Mermaid, I have LOOOVED mermaids since my dad took me to see the Little Mermaid in the theaters when it came out all those years ago. Currently I’m working on my artwork, I’m making myself work on faces – a great weak point for me is the nose…. Sewing wise I’m working on some sewing for fabric tours as I’m in 2 coming up, kid projects. 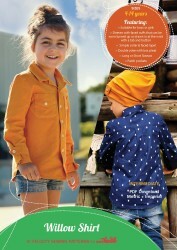 My personal favourite sew is the SisBoom Angie and kids pattern favourite is the Sis Boom Sally. I seem to collect creative hobbies…. I took private art lessons from a university art professor all through my highschool years and painting on canvas is the regular and go to hobby of mine besides sewing/embroidery. 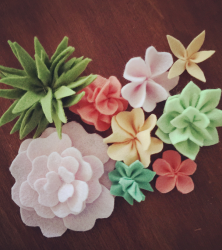 But I also took a few years of pottery and even made felt flower wedding boquets! 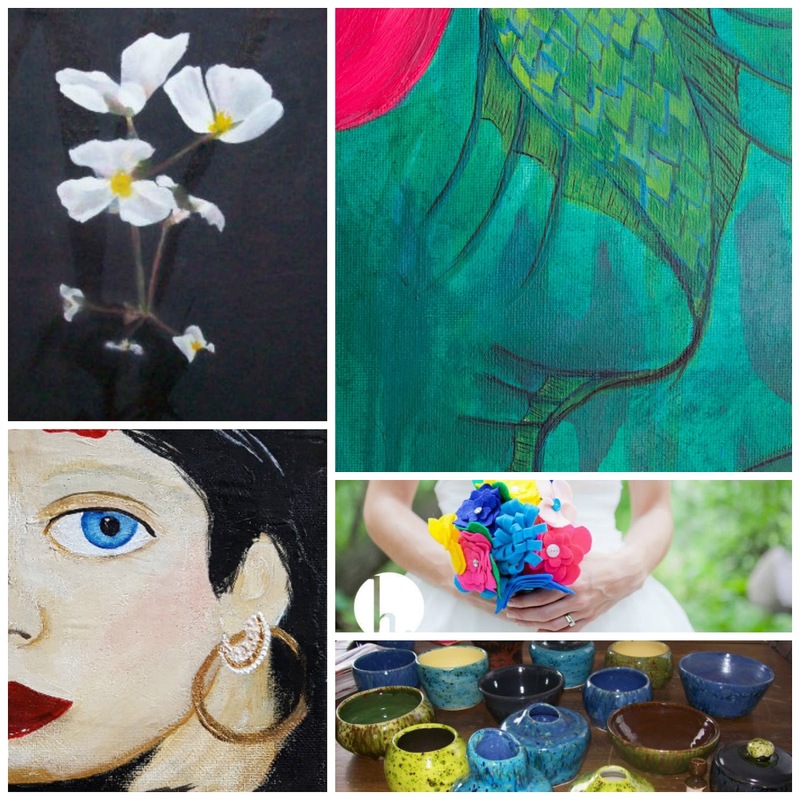 I’m trying to be more focused in my hobbies…. but it is SOOOOO hard for me! You can purchase Jen’s pattern for the Hood Creatures FMA as a single PDF HERE or visit her website to see more of her work HERE or purchase Issue 11 which contains this pattern HERE. Ajaire has been an avid sewist and crafter for over 25 years. 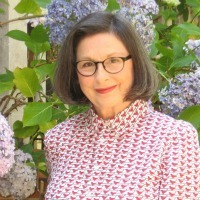 When her daughter was born in 2011 she found an outlet for all her creative ideas and the focus of Call Ajaire shifted to sewing and fashion inspiration for young girls. 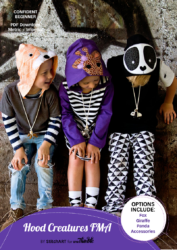 Though most known for Call Ajaire’s Monthly MashUp series, in 2015 she finally launched her children’s clothing patterns under Designs by Call Ajaire (DbCA). 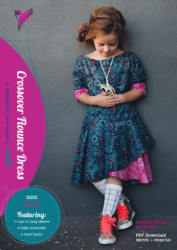 Ajaire has contributed the Crossover flounce dress to Issue 11. I’ve always loved making. I started cross stitching at an early age and hand sewing quickly came next. I taught myself how to use my mother’s sewing machine in my teens and I never turned back. In college I learned to knit and crochet, but there’s something about sewing that keeps calling to me. When my daughter was born I was filled with inspiration which prompted my foray into design. 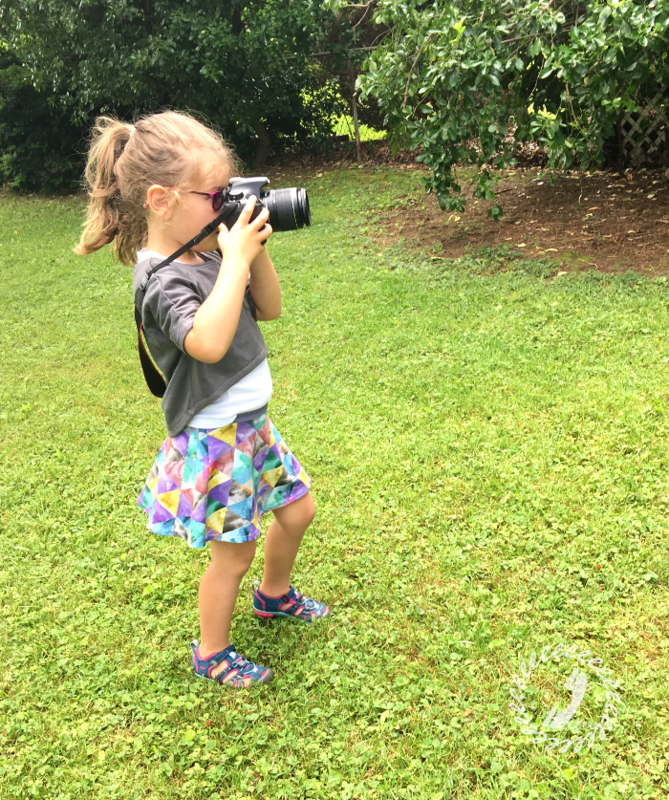 I spent her early baby years (she just turned five) learning everything I could about fashion design and pattern development. My blog Call Ajaire has been around since the beginning, but I finally released my first pattern with Designs by Call Ajaire (DbCA) a year ago. Being a stay at home mother to my girl there isn’t an abundance of time for design so things have trudged along slowly with my first few patterns. 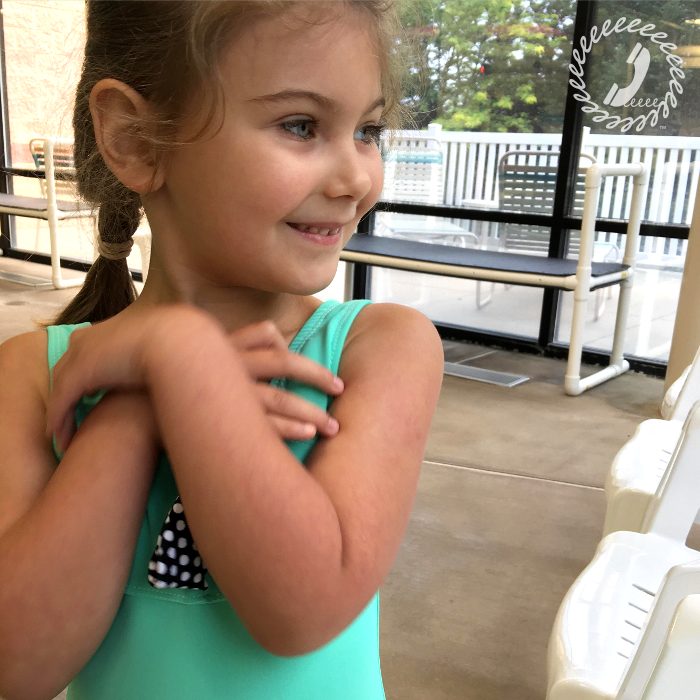 With her going to kindergarten in September I’ll be able to concentrate on DbCA and look forward to seeing the direction it takes. As I mentioned above, my girl is my biggest inspiration. I make all of her clothes, even down to the boring bits like underwear and socks, and somedays is feels like a blank slate just waiting to be filled in. Now that she’s getting a little older, it’s so cool to have her feedback and see parts of her style come together in the things I make for her. I look ahead to what’s available to tweens and teens in the stores these days and I’m thankful to be able to sew for her. She’ll be able to have modest pieces that are in style, yet age appropriate. I can see myself concentrating on the pre-teen scene these next few years. How to pronounce Ajaire, haha. You can check out this somewhat old (painful for me to watch!) video in which I pronounce my name in the first few seconds. Be kind to yourself. Sewing is a skill that can be honed just like anything else. You can produce something beautiful the first time, but if you don’t make sure you keep trying. If you picked up the guitar and couldn’t play it perfectly the first time would you be surprised? Everything takes practice in order to improve. People often say that they can’t sew or that they wish they could sew as quickly or well as I do when they see my girl’s clothes. But sewing is something I do almost every single morning. Imagine what you could do if you practiced something at least an hour each day. What’s your favorite pattern/thing you have sewn? What are you working on now? 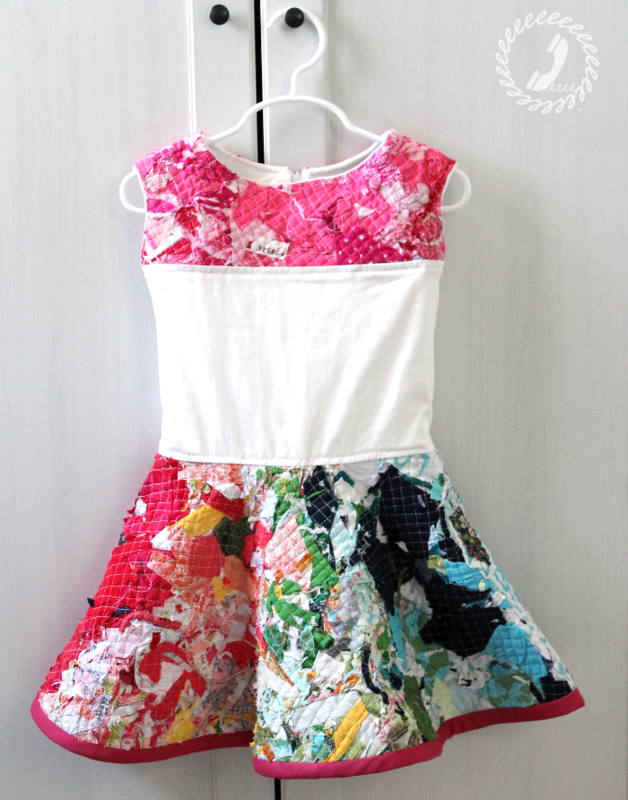 My favorite thing is probably this dress I made with fabric I created myself for Project Run & Play season 9. 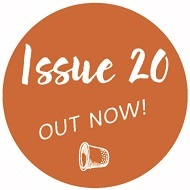 Look out for an article in OT Issue 12 on how to create fabric like this with scraps. Right now I’m working on a swimsuit pattern which should be available the first week of July. I love swimsuit sewing and can’t wait to for you guys to get your hands on it. Join the Designs by Call Ajaire facebook group for more sneak peeks and info when it’s release. You can purchase Ajaire’s pattern for Crossover Flounce Dress as a single PDF HERE or visit her website to see more of her work HERE or purchase Issue 11 which contains this pattern HERE. I’m so excited to have a chat with Kate from Horris & Deedle today. 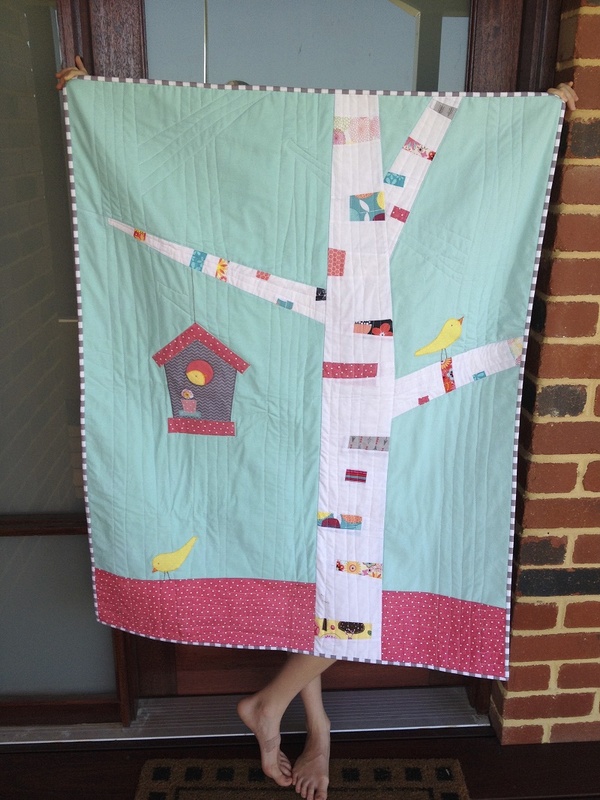 Kate has been a contributor to One Thimble since way back in Issue 4 with her Rainy Days Quilt. Her Pencil Pencil Case from Issue 5 was also a big hit! I was so happy to have her back on board in Issue 11 with her Bunny & Bear Quilt. 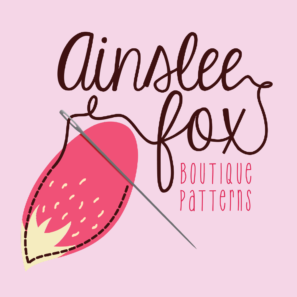 This week Kate has been sharing some fabulous applique blog posts on the One Thimble blog – including some FREE templates! 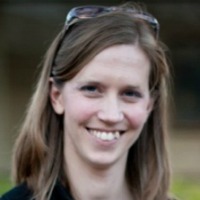 Kate is a Stay-at-Home mum to five children and lives in Perth, Western Australia. She loves seeing her simple drawings come to life through the different colours and textures of fabric. She is addicted to putting cute appliques on cheap t-shirts and making baby quilts. How’d you get into quilting? I was fortunate enough to become an Aunty while I was finishing up high school. My little niece was my favourite thing in the world and I loved her so much (I still do of course, but she is 18 now). I spent a lot of time playing with her and I wanted to make her something that would remind her of how much I love her as she grew so I made my first quilt. Of course, if I had a good look at it now I would probably cringe and the workmanship, not to mention the fabrics I chose. I think I even use corduroy for the backing fabric! I think this is where my love of appligue began as well. I had lots of little motifs on that quilt which I blanket stitched on by hand as I travelled to and from uni each day on the train. After that my second niece came along and I made one for her and a few years later I had my first little boy and made one for him. His baby quilt is all faded and stretched now but I love it when all of the children bring out their baby quilts to make cubbies in the bunk beds or when the girls use them for there doll picnics. It reminds me of all the anticipation and excitement I had while I looked forward to meeting each one of them. There are a few quilting blogs which I follow sporadically and which I’ve learnt a lot from over the years. Cluck, Cluck, Sew and Film in the Fridge are two of my favourites. Most of my inspiration for creating though comes from what I see with my eyes. Good children’s illustrators often give me a base for colours and shapes, not to mention, inspire me to create something beautiful. I look out for ideas in many places and a lot of my quilts come from simple drawings which I’ve seen. I saw this Paper City on a blog (http://madebyjoel.com/2010/04/paper-city.html) several years ago. 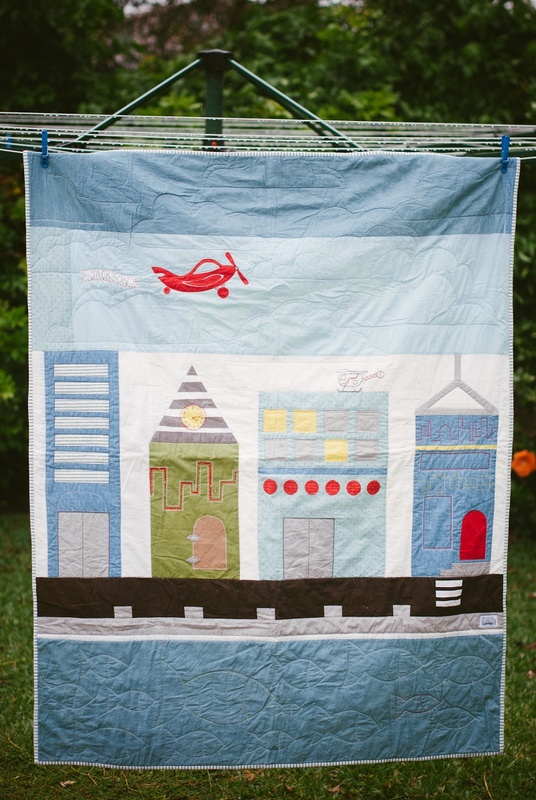 It stayed in my mind until I made a quilt for a good friend of mine who was having baby boy. The place where I get most of my inspiration to make something beautiful though is the natural world. The variety of plants and animals, the fine craftsmanship and wonderful design of different fruits and veges as well as the beauty and uniqueness of each season motivate me to make beautiful things with the best finish that my time allows for the people I love. 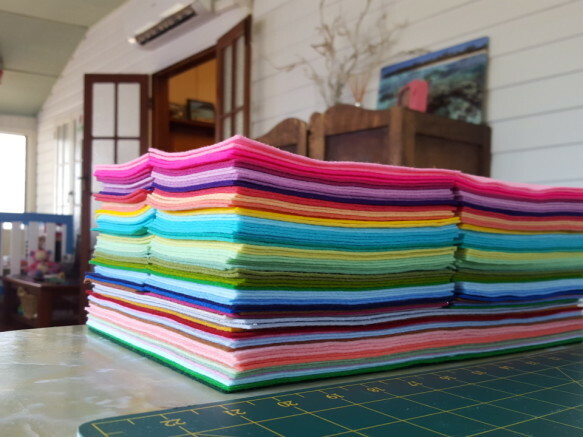 What’s your best tip for someone just getting started with quilting? Just have a go. To tell you the truth, I don’t consider myself much of a quilter at all. I just do what I enjoy. 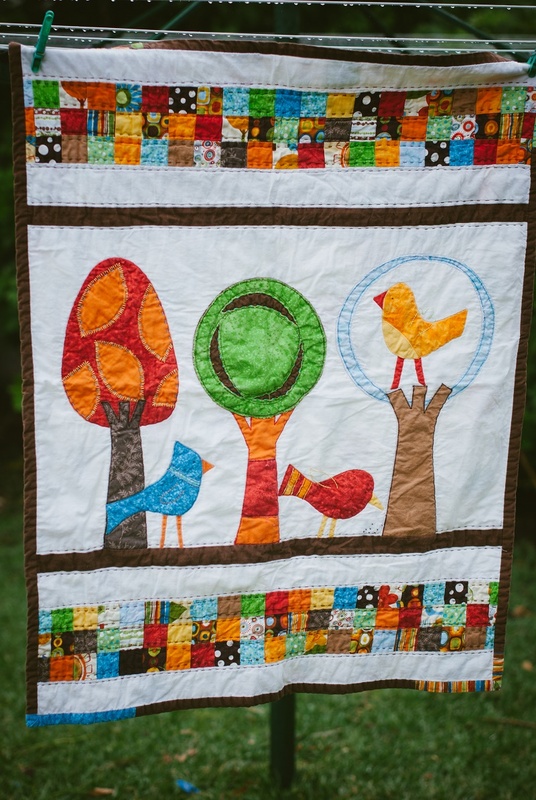 I think that’s the best way to get started with a quilt- choose a pattern or a design that you love, choose fabrics that you love even more and a person who you love to make it for. Those three things should be some good motivation to try it. At the moment I’ve got a half-finished Hoya dress from Issue 11 on my table, as well as two quilt tops based on my ‘Bear and Bunny’ Pattern with a few slight changes. I’m hoping to show them to you in a few weeks. What’s something people mightn’t know about you? I enjoy writing poems and children’s stories. One day when I have a bit more time on my hands, I hope to learn how to draw and paint properly so that I can write and illustrate my own children’s picture books. 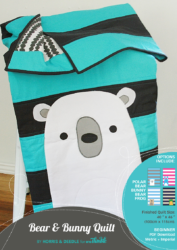 You can purchase Kate’s pattern for The Bear & Bunny Quilt as a single PDF HERE or visit her website to see more of her work HERE or purchase Issue 11 which contains this pattern HERE. Hi! 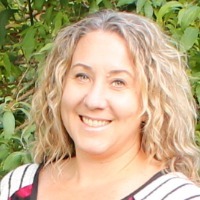 Today I’d like to introduce you to Candice from Rose Petal Collections. I first met Candice through Lauren from Molly & Mama after the release of One Thimble Issue 8 and since then I’ve been getting all my wool felt and glitter felt from Candice! I’m quite proud of how these flowers turned out! I used the Molly and Mama Coco Flower Crown Pattern from Issue 8 and Wool Felt from Rose Petal Collections. 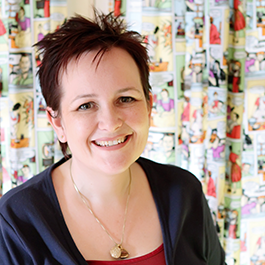 So without further ado – let’s chat to Candice – the lady behind Rose Petal Collections! Tell me a little about your business and how you got into crafting. My name is Candice and I’m originally from a beautiful small town in Queensland called Quilpie. It’s about 1000kms west of Brisbane. I loved my life there, small country town values and being with family. Particularly with my beautiful late Nan Delma. I used to spend nearly all of my time with her. We always were doing something, dressing up in her old ball gowns or gardening, but most of all craft. My goodness we did some crafting, just about everything you could think of. I guess that’s where it all started with me and I noticed it was very comforting for her and I found solace in it myself by watching her delight with all the things she created. Not long after she passed away I found myself crafting even more than I had in the past. It comforted me knowing that I could hold onto her memory by doing something as simple as creating. 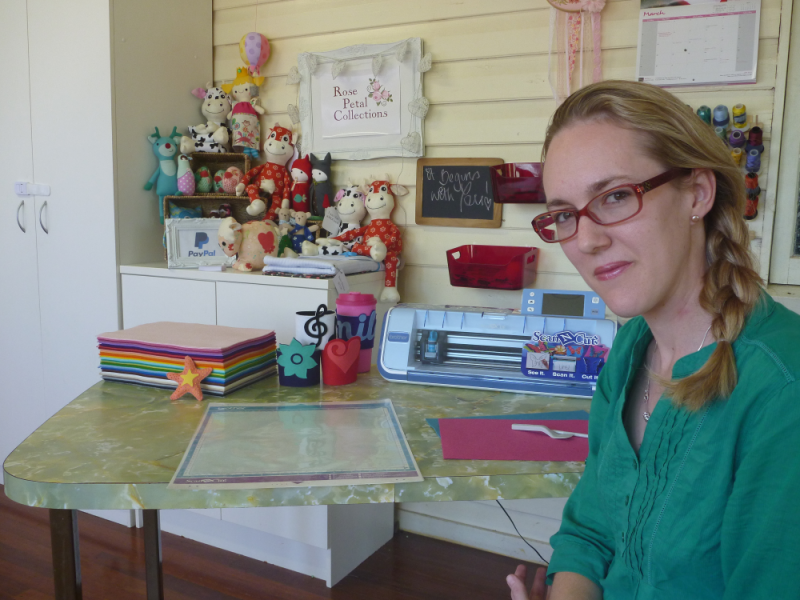 Later it grew into a small business, Rose Petal Collections. I’ve met so many others who inspire me just as much as I inspire them. I named my business after myself and my daughters middle name, and mostly because I love Roses. Now living in Chinchilla with my beautiful family I continue with my business and my crafting, sharing my things along the way. My children love it too especially my daughter which is such a delight to see. 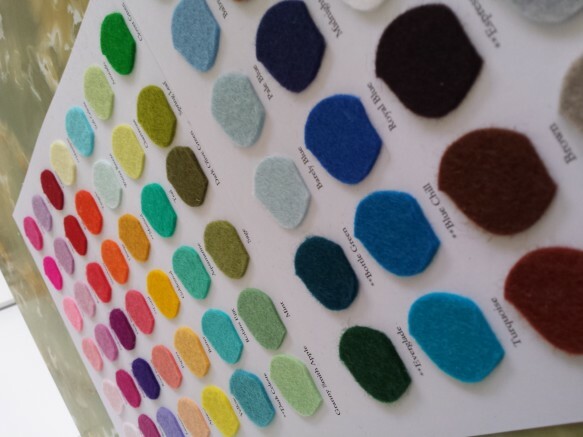 You stock divine wool felt in the most amazing colours. Can you let me know how wool felt differs from cheaper felts? 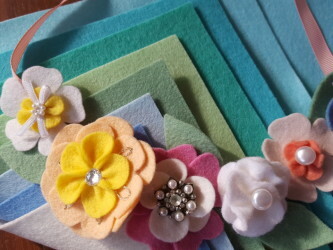 I’m often asked what are the benefits and differences between using Wool Felts and Acrylic Felts. I think understanding how they are made is the best way to see the differences between them. This quick and easy explanation was provided by my supplier. The 100% Merino Wool Felt I sell is the Wool Felt they’re talking about here. Wool felt is made from agitating wool to create a non woven fabric. The wool shaft has scales which interlock and form a fabric through felting. Because felt is nonwoven it won’t unravel and the raw edges do not need to be finished. Wool fibers also have a high concentration of fatty acids, this gives wool anti-bacterial properties this keeps wool fabric from mildewing or retaining odors. Some people worry about allergies but wool is actually hypoallergenic. And not to mention my favorite textile to use! Now Acrylic felt is made by interlocking acrylic or acrylonitrile which is made from natural gas and petroleum, ie a type of plastic. Acrylic is not suitable for some craft projects or pieces which will be handled often because it will pill and fuzz. Acrylic also tends to be stiffer than some other felts and therefore may not layer well. 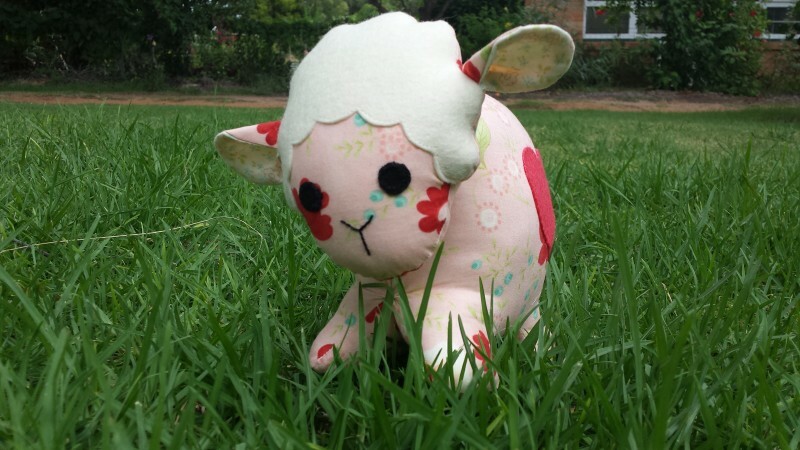 Can you give me some examples of projects you could use Wool Felt in? So far I’ve used Wool Felt in almost all of my projects including Quilts, hair accessories and most definitely soft toys. Recently you’ve also started stocking glitter felt. I used some of your Glitter felt to make Christmas Ornaments and it really is quite astonishing how you don’t end up covered in glitter. 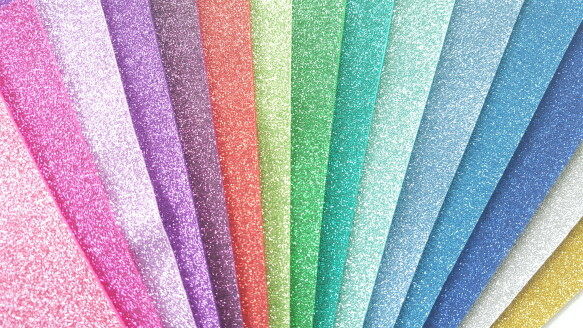 Can you tell me a little more about the Glitter Felt you stock? 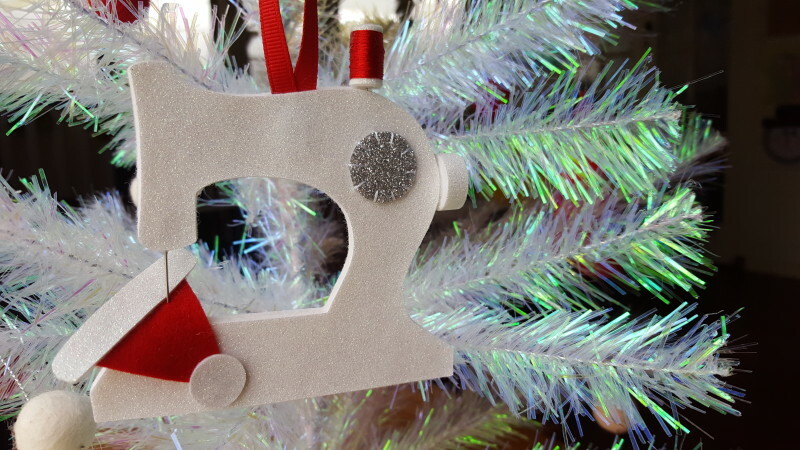 This Glitter felt is a High-quality glitter vinyl on my very popular 100% Merino Wool Felt. 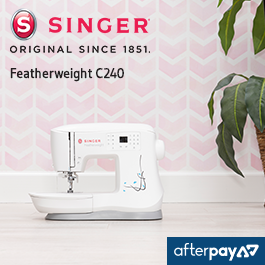 It has a textured feel, non shedding and flexible ready for a huge range of projects including applique, hair accessories, Christmas ornaments and so much more. 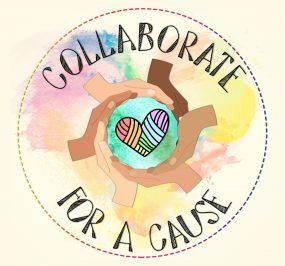 Can you give me some examples of projects you could use Glitter Felt in? 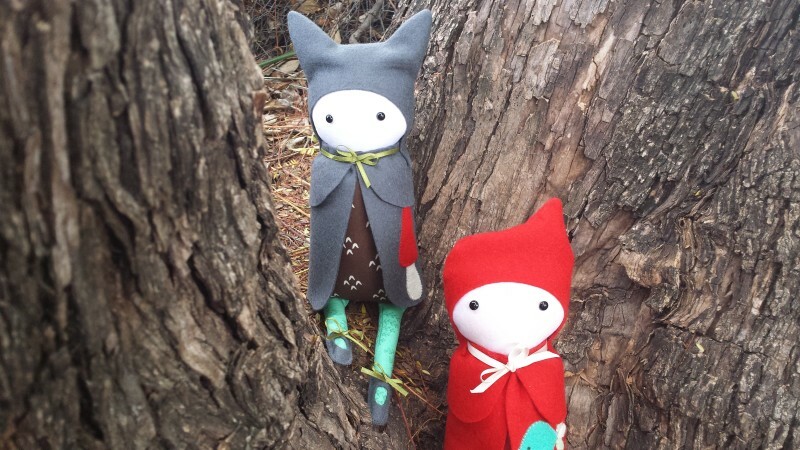 Recently you may have seen Molly and Mama’s ultra cute Festive Felties. She used the Glitter Wool Felt in her projects and it did not disappoint. I’ve also used it in hair accessories as well as features on soft toy’s like the inner of an ear on a teddy or the heart on a belly of a softie.